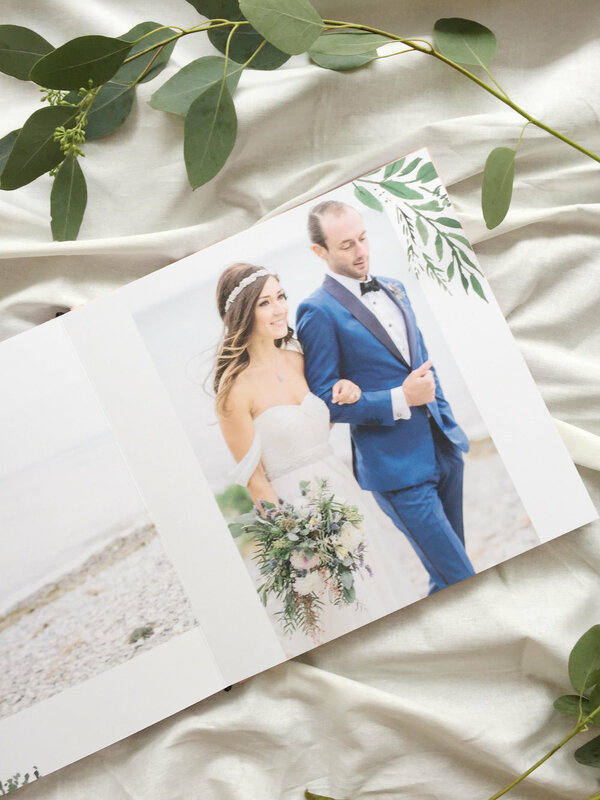 This heirloom custom wedding album was created for a Sable & Gray bride, and was professionally printed using archival, lay-flat paper. 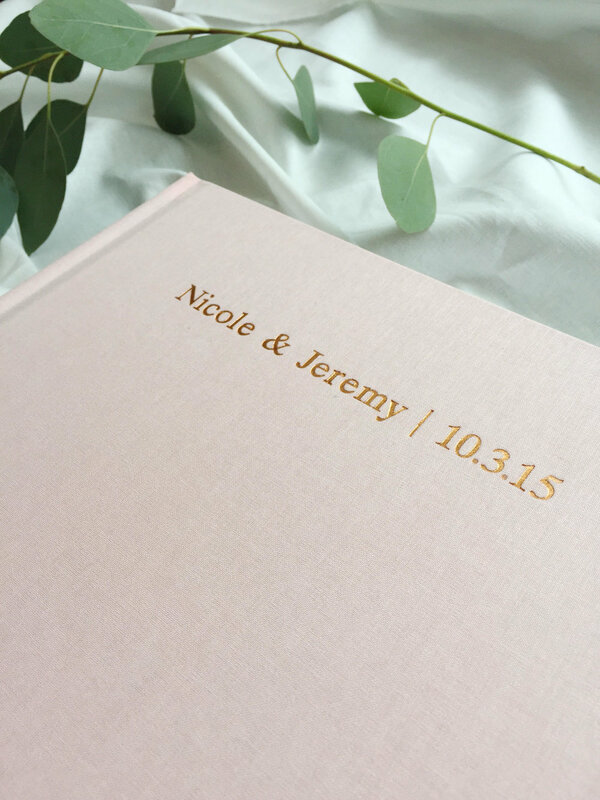 It is bound with a hard cover, wrapped in linen, and stamped with copper foil. 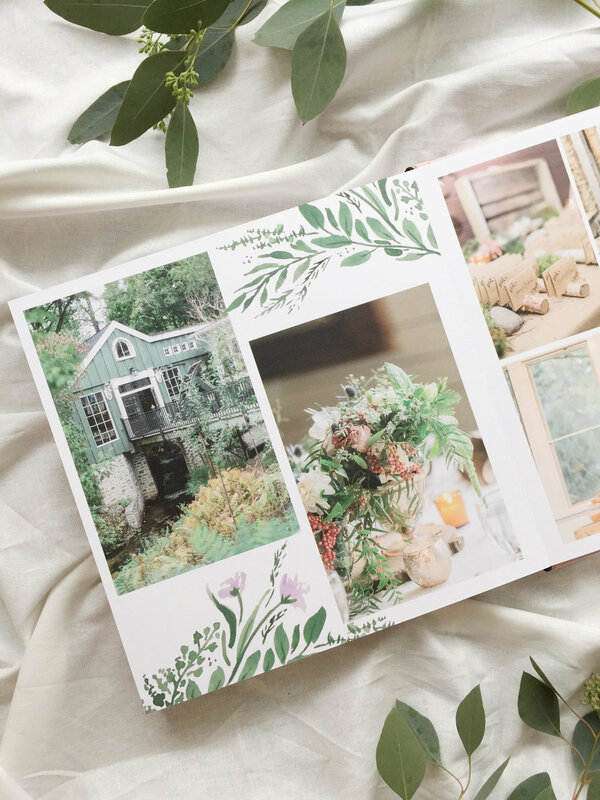 The interior pages feature original hand-painted watercolor artwork. 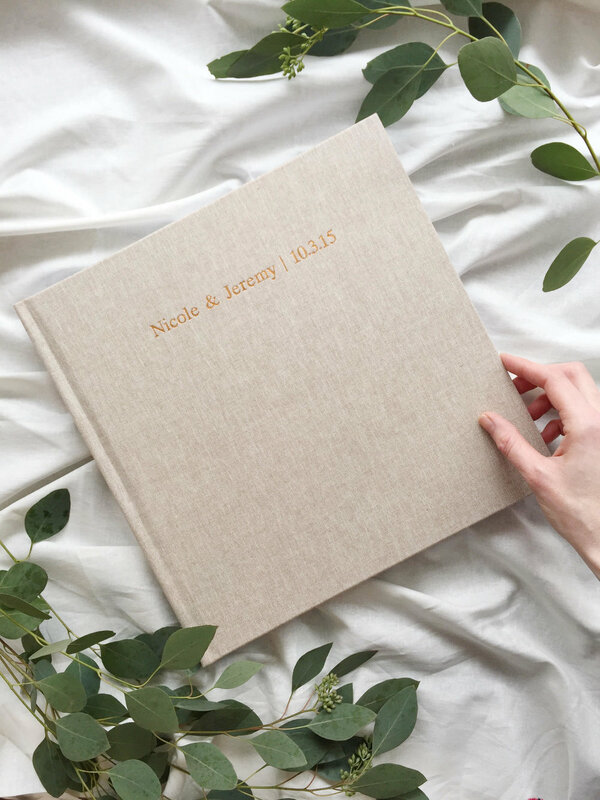 The "oatmeal"-colored album measures 12" x 12", and the smaller parent-version of the album (in a soft pink linen) measures 10" x 10". 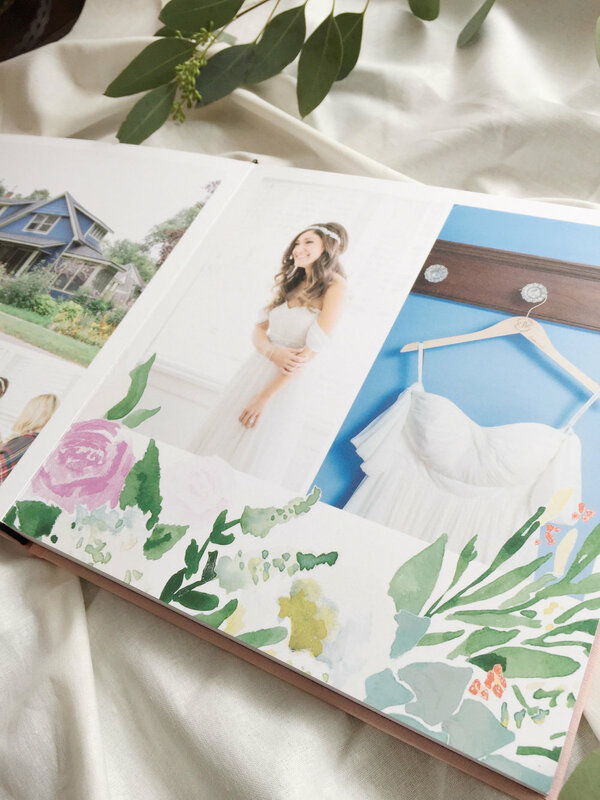 Interested in having Sable & Gray create a custom album of your very own? Contact us here.